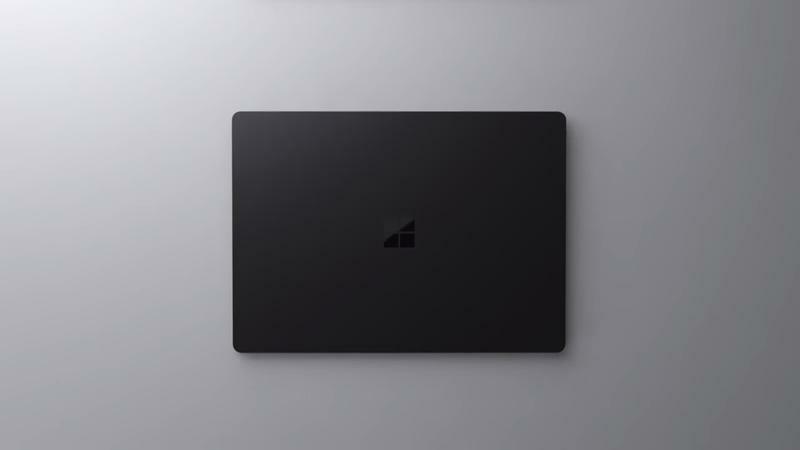 Microsoft on Tuesday announced the Surface Laptop 2 with up to 85 percent faster performance and a sleek matte black finish. You can watch a video of the new device's highlights up above. There's quite a bit to like, including the $999 starting price. Preorders for the device are available today, with a launch set for October 16. In addition to featuring 8th-generation Intel processors, the Surface Laptop 2 also sports a 13.5-inch PixelSense display—Microsoft claims it's the thinnest ever LCD on a touch laptop. Microsoft also says the device's keyboard is quieter than ever, with an improved layout that makes typing easier. Like the original Surface Laptop, the new model features an Alcantara finish for the keyboard, making the device incredibly comfortable to use (not to mention fun to touch). The Surface Laptop 2 looks as sleek as ever, with a slim profile and a smooth aluminum design. As one of Microsoft's "true" laptops, the Surface Laptop was one of the company's best devices when it launched last year, offering a great combination of design, performance, and price. It's been over 12 months since the Surface Laptop got an update, and today's announcement looks like it checked off a lot of boxes. Once we have the full specs for Surface Laptop 2 we'll update this post. From what we can tell, it doesn't look like the device will feature any USB-C ports, something fans really took issue with when the first model was released. The Surface Laptop 2 will start at $999 with pricing depending on the configuration you choose.